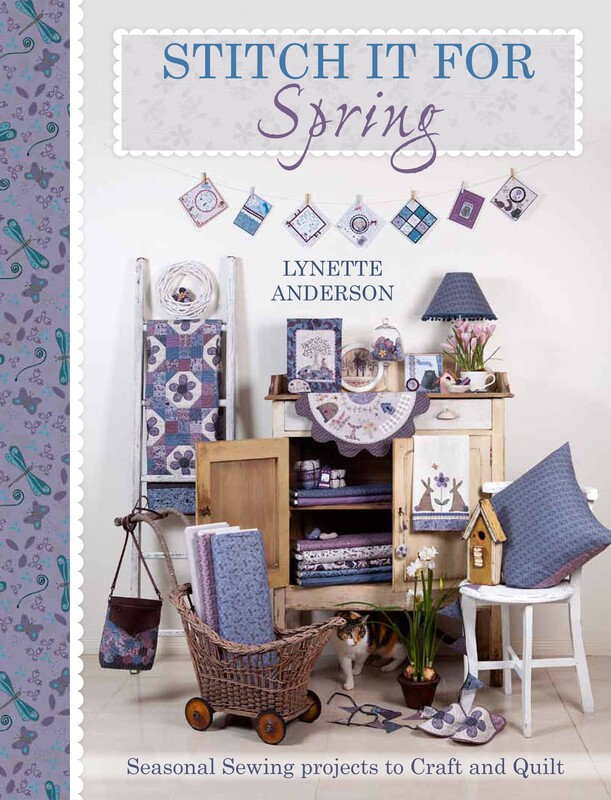 Hello Friends, a couple of months ago I had the privilege to design for Lynette Anderson, using her newly released fabric line Wildflower Wood, produced by Lecien. And I am happy to share with you the free to use pattern that accompanies these cute fabrics, “Forest Floor” is available for download. 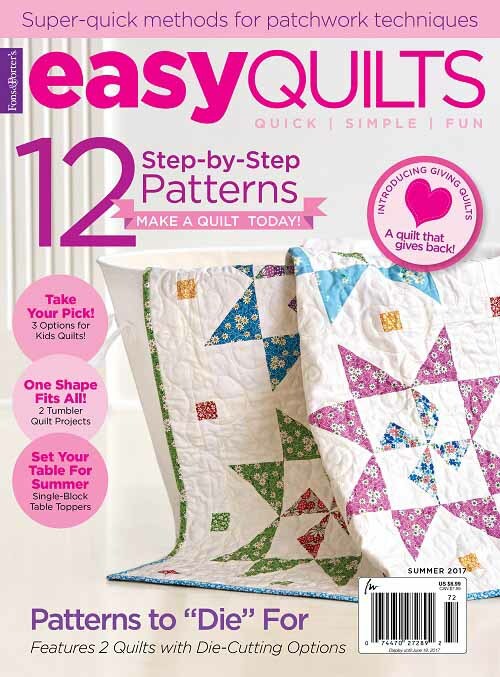 Click here to download the free pattern in pdf format. 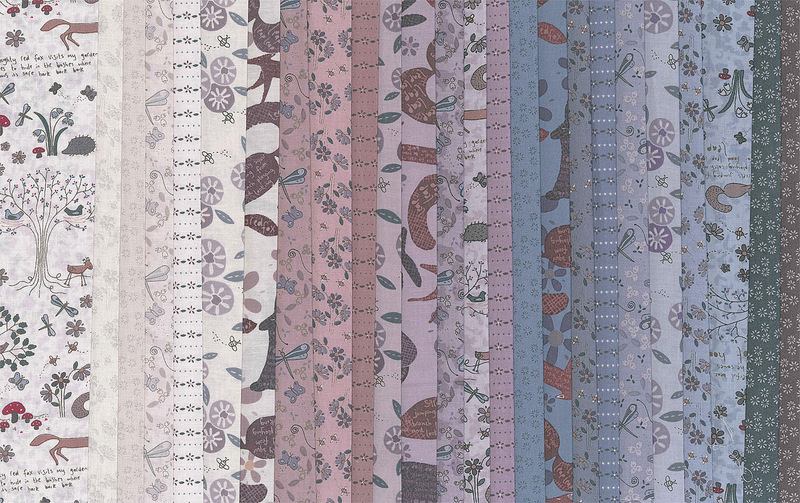 Click here to view the fabric swatches – you simply HAVE to take a look at the imagery on these fabrics. 1. 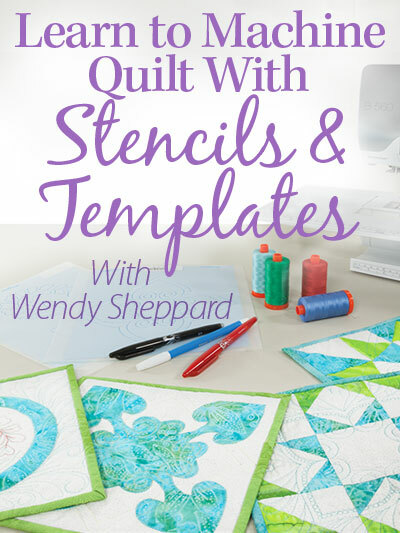 Lynette’s book “Stitch it for Spring” that has projects using Wildflower Wood fabrics. Click here to read more. 2. Forest Friends Stitchery/Button/Ribbon Project. Click here to read more. 3. Woodland Secrets BOM Stitchery Quilt. Click here to read more. Thanks for stopping by. 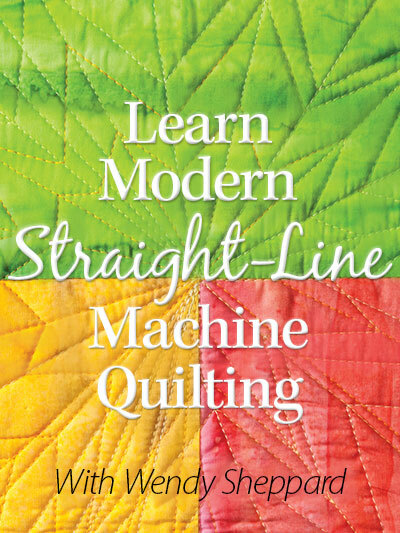 I hope you will have fun perusing Lynette’s beautiful work and products! I will see you again tomorrow. 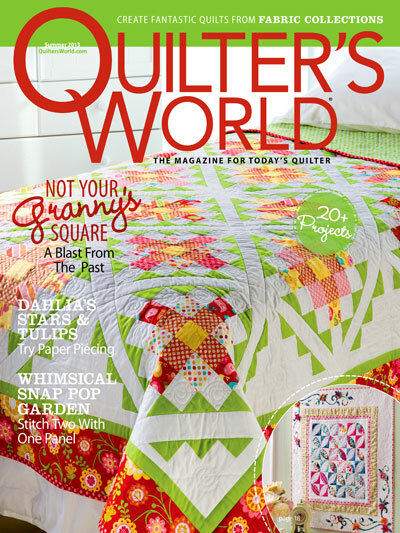 This entry was posted in Quilt Pattern, Quilting and tagged Lecien Wildflower Wood Fabric Collection, Lynette Anderson Designs. Bookmark the permalink. I just started following her blog. I don’t remember where I first saw her designs – maybe you’ve mentioned them here before? But I love her style. These are adorable. 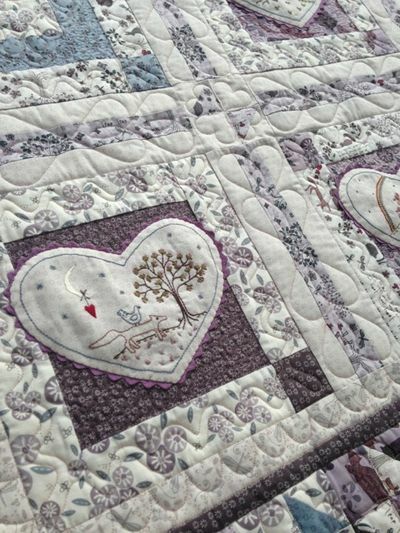 Woodland Secrets BOM Stitchery Quilt really appeals to me. Can we get the pattern? 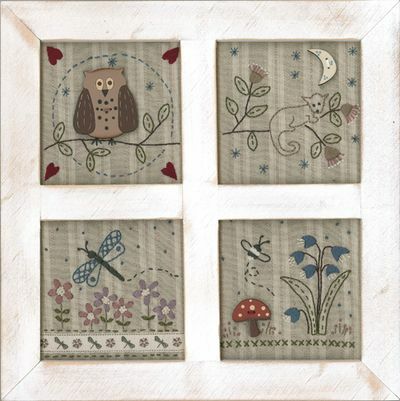 Woodland Secrets BOM Stitchery Quilt is really lovely. 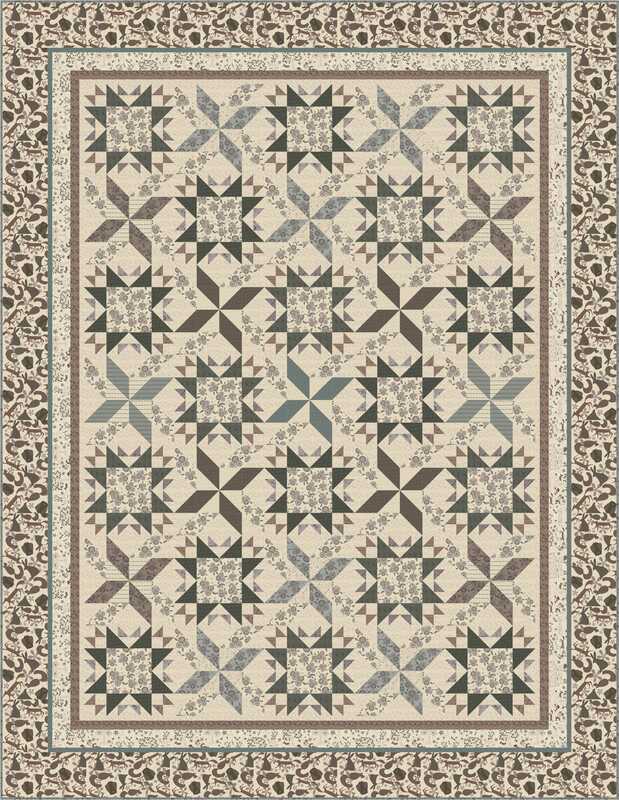 How can I get the pattern for it? 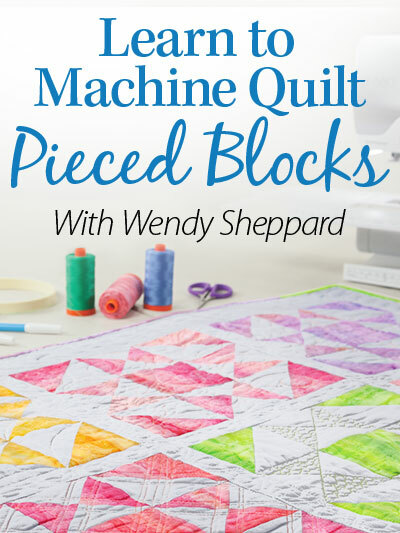 What a cute and different piecing pattern! I like it. Good job. Wendy….have a happy Mother’s Day! you are a good one for Miss Baby. I’m in love!!! Thank you so much for posting this! I’m making THAT and it will be my fanciest project so far! 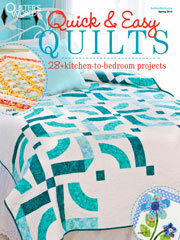 I love this quilt and fabric, I need to make a wedding quilt and this would be perfect!